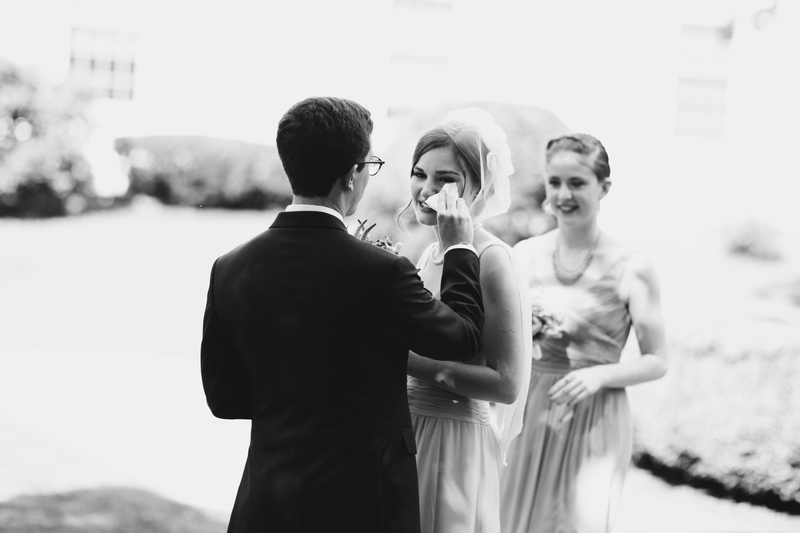 Taylor was a dream-come-true of a wedding photographer, and we feel so lucky that she was part of it all. We are so in love with the pictures she took, and so is everyone we know; not only did Taylor capture our day, she told a beautiful story of the day in a way that only a real artist could do. Beyond her brilliant art, she is the most gracious and comfortable person to work with. Leading up to the wedding, it was so great to check in with Taylor — she was always spot on with words of wisdom, encouragement, and kindness. And on the day of, she was fun (making everyone feel so relaxed and even happier than we already were) and professional (working so well with the other vendors and going with the flow of what happened.) We could not recommend Taylor enough — she is an excellent artist and a deeply good person. Choosing Taylor was one our most worthwhile decisions. She manages to simultaneously capture both heartfelt emotion and beauty of the day. My husband who absolutely hates getting pictures taken felt relaxed and my anxious bride feelings were quelled every time I caught her eye. She is a low-key, humble artist. The photos are authentic and candid; exactly what we were looking for. My style is not the stiff, cheesy, staged photos that many of the photographers we looked at had; Taylor immediately picked up on our vibe and vision. Several of our guests commented how much fun Taylor seemed to be having capturing moments from our day. She blended right in with our families and friends and shared in our celebration. She went above and beyond her job description—transporting us to the venue and running interference for us when an unruly guest was trying to crash pictures. We are so grateful for the images that we can now treasure forever as we think back on one of our most epic days. 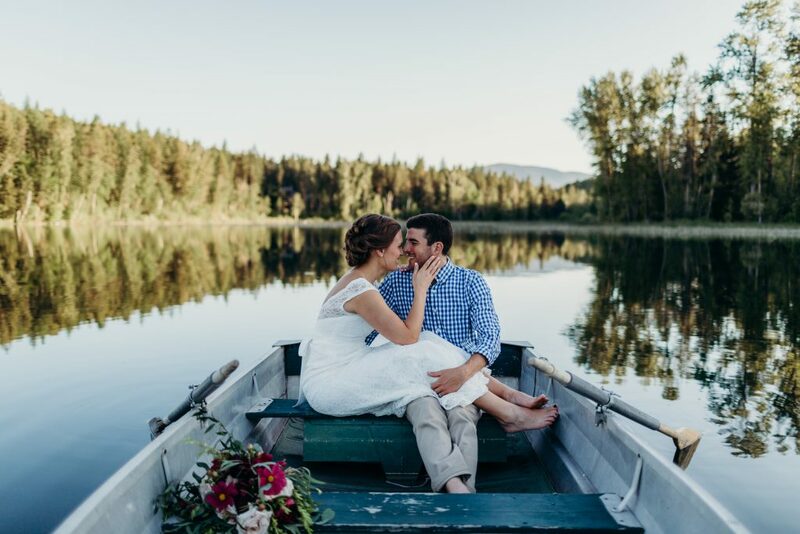 There is no other photographer like Taylor Lenci – we cannot recommend her service any more highly. We will always be grateful for her capturing the best day of our lives and can’t speak any more highly of her character and her ethereal photographs. Looking at her photos, it is obvious that her work is outstanding. Nevertheless, when choosing a photographer, what is just as important is that the person invited to capture your wedding dictates the mood and the cadence of how you spend the day. With all the distractions that arise, we can’t stress how much we appreciated how efficient, relaxed, and enthusiastic Taylor was while taking pictures of us. She captured the moments preceding the wedding beautifully and was sensitive about allowing us to enjoy ourselves with friends and family without feeling like we were at a photo shoot. In fact, she had an aura of calmness and grace which in turn allowed us to take in the real meaning of what we were celebrating. It actually snowed on our wedding day, the type of snow that begins in the late morning and continues into the night. When we first walked out of the church we were nervous about the accumulated snow (especially with our party in suede shoes), but Taylor charged into the street and shouted out “THIS IS AWESOME,” infecting the whole wedding party with her energy. 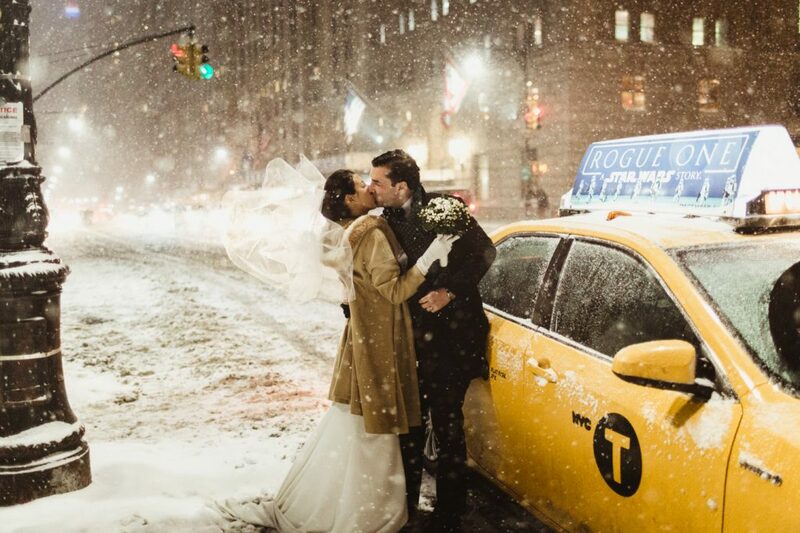 Our photos in the snow are magical and the smiles on everyone’s faces in the middle of Park Avenue speak for themselves! She adapted her plans to deal with weather and time constraints during the day with a smile on her face and without making us feel like we were on a crunched schedule. 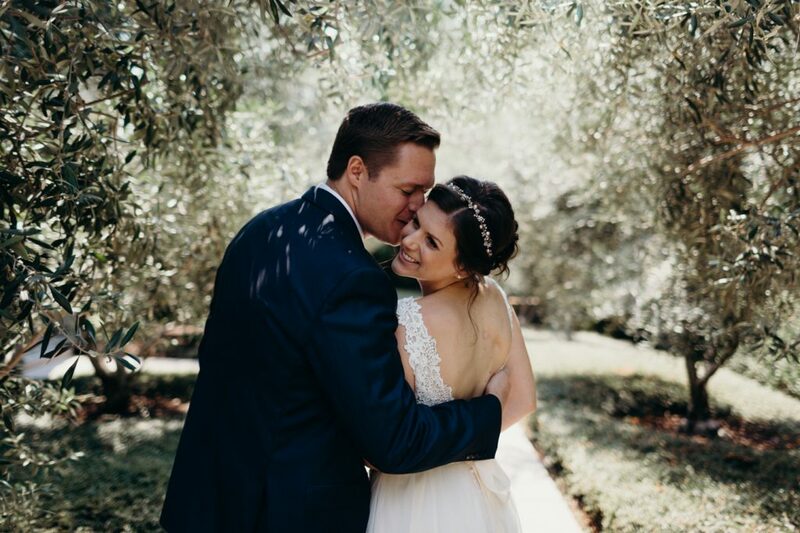 Since the wedding, and even during – before we even got to see the photos, we have received countless comments of much everyone loved our photographer, asking how we found her. Taylor’s personality instantly makes you feel at ease, able to be who you are. This is what allows her to capture those amazing moments that are pure and beautiful. She’s patient and professional, yet someone who creates the space to be open in front of the camera. Taylor has an eye for capturing a moment in a very special way—she captures those precious moments when you don’t think anyone is watching, the ones that bring a photo to life and bring out your loved ones’ personalities so naturally and so perfectly. I can’t say enough great things about Taylor or our experience working with her; she truly has a gift. My husband and I aren’t ones who love to be in front of the camera so were pretty nervous going into our engagement session, but were thrilled by how fun and lighthearted she made our session feel—we had the best time and were so happy with our photos! At that point, we knew we had to book her for our wedding too. So much so that we narrowed down our wedding date based on her availability, and flew her from New York out to California to photograph our wedding. Yes, really…she’s that wonderful! We’ve received many compliments on our wedding photos and would recommend Taylor in a heartbeat. She is so talented and easy to work with. My husband and I will definitely be reaching out to her for future family photos! Not only is Taylor a phenomenal photographer and wonderful at her craft, but her personality makes her one-of-a-kind. She has a warm heart and will want to get to know you on a personal level, which makes working with her a relaxed and fun experience. Not only will she bond with you as the customer, but if you are wanting to hire her for a larger experience like a wedding, etc. she will get to know your brother, grandmother, niece, and uncle you hardly ever see—giving you a result of beautiful photos where love between family and friends shines through her work. Taylor remains professional and helps direct those who are not comfortable in front of the lens with laid-back encouragement to produce great photos and you forget the camera is even there. My husband and I could not have picked a more perfect person to work with, nor could we have picked someone to give us the quality of photos that she did. She is punctual, open with her communication and working with her could not have been easier. She comes with my highest recommendation. We’ve had Taylor take three different family photo sessions (newborn photo shoot, children’s photo shoot and mini family session) and have had the BEST experience each time. 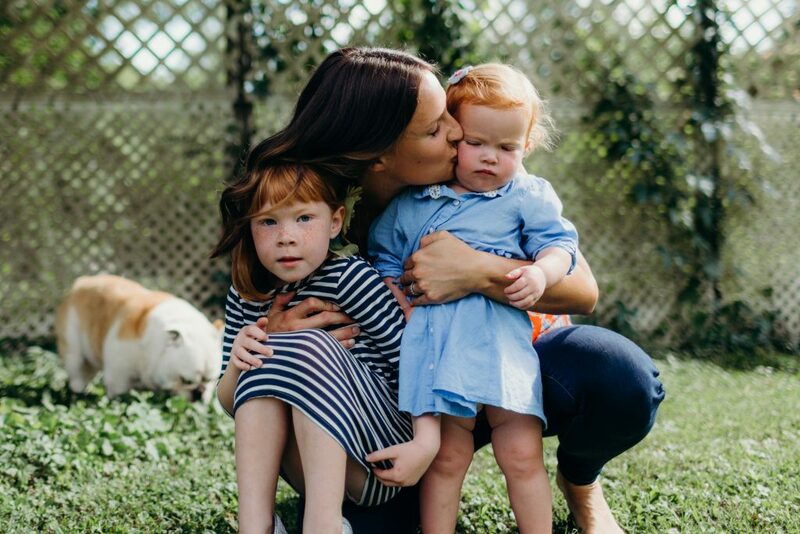 Taylor is great with kids and her positive energy puts all three of our children at ease. 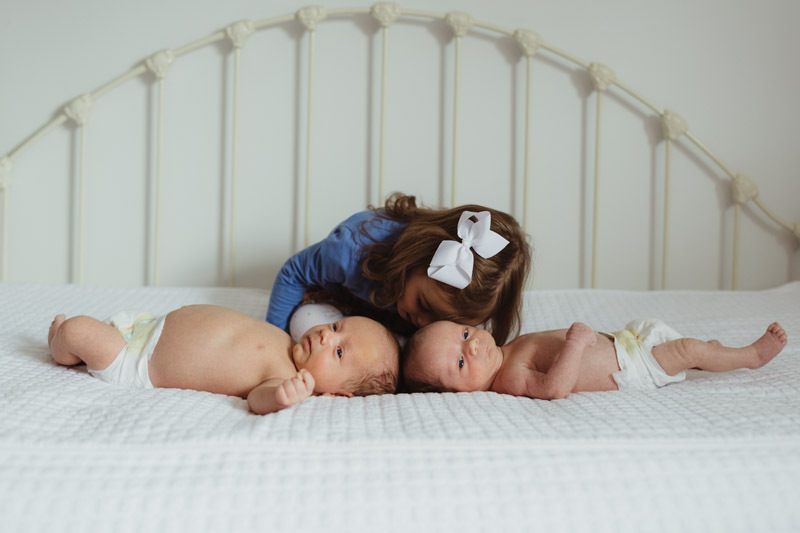 For our newborn session, she came with so many ideas for capturing our twins, including how best to relax them before the session began. She also made our two year old feel so special throughout the entire shoot, showing her some photos she snapped of her and her brothers as they happened. Taylor’s work speaks for itself. She is an incredible talent and we’ve had so many friends comment on the beautiful photos Taylor has taken that we have proudly featured on two holiday cards and our sons’ birth announcement. We consider Taylor our family photographer and there is no doubt who we will ask to do our next family session.